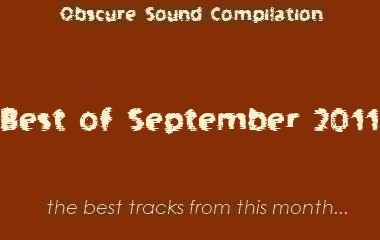 September’s compilation is massive… I don’t know where to start. These twenty tracks from the past month, ranging in every style from soothing folk to Halloween-themed hip-hop, offer greater diversity than usual — and it’s not just due to the sheer number of tracks. New tastes on Obscure Sound have emerged with several new writers on staff. It’s a reminder that there’s so much quality music to be exposed, past and present, that variation is a music fan’s best friend. I have thoroughly enjoyed many of those articles, from bizarrely enjoyable compilations to features on the unsigned and unknown. This site has always featured similar content, but seeing other music fans write to that format has been, for me at least, very enjoyable to read. I hope you feel the same. Of course, for all the great unknowns like California Condors, Quichenight, and Leaves of Green, there are a couple of relatively big names. Jens Lekman and St. Vincent showed why they’re indie-pop darlings with excellent new releases, while up-and-comers like Little Majorette and Lana Del Rey continued to be highly buzzed-about in the blogosphere. Every single song on this compilation was released in 2011 apart from one: Lewis’ “Romance for Two”. We can trace back to 1983 with that one, on the album L’Amour. It’s a lo-fi lost classic, and is only at the end of this compilation because it sounds like the consummate closer. I don’t know if it’s related to the feature, but a bunch of original pressings of L’Amour popped up on eBay after the Lewis feature was posted. This one – quoting OS in its description – sold for $263. That fun fact aside, enjoy the compilation. There’s a lot there. Very good list! I’m going to have to check all the songs out properly. For sure. I will also try and pass it on to the rest of the writers at The Phonograph! If you would like to, you can check out today’s article where Rowan divulges in the ‘quality’ of Lo-Fi music. I predict that Little Majorette will be heard in movies. Real good stuff for mostly protools. There’s a bunch of awesome indie rock bands in this playlist! I also found more here: //ourstage.us/cG Anyone have any other playlists that are similar? I wanna find more! rank the best songs here? Guys, did you just lift the Lana del Rey track straight off the video? Isn’t that a bit dodgy? 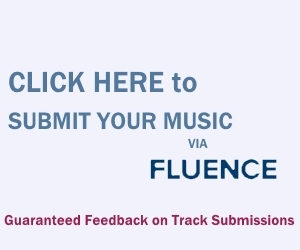 the Lana Del Rey track links off-site. I found it online. the MP3 is in heavy circulation by the PR reps, so I don’t think it’s an issue. if it is and you’re an involved party, feel free to contact me.